The mere mention of the name Marlin conjures up a vision of the most splendid of creatures. 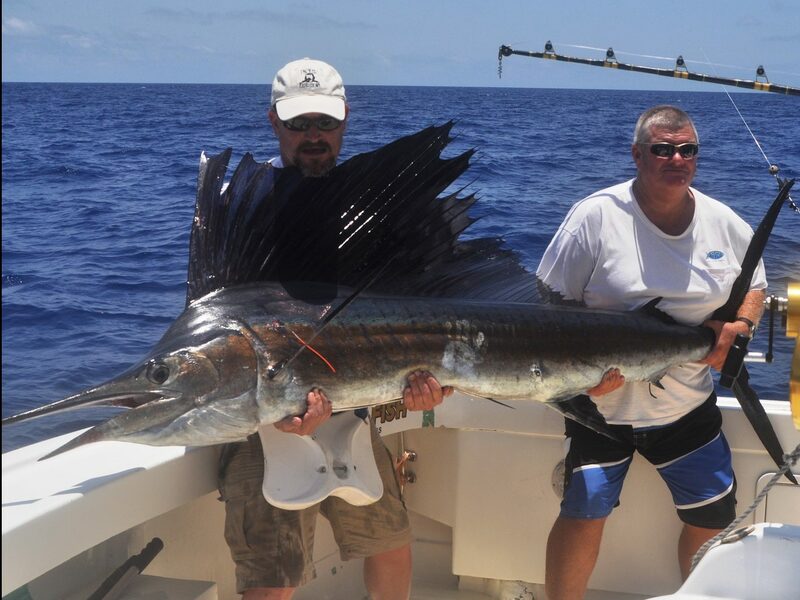 Glistening and shimmering through the air on a gigantic leap from its blue ocean home, thrashing the ocean surface wildly and powerfully as it tries to rid itself of that intruding offering connected by a spindly thread to the anglers screaming reel. The smell of diesel fumes and smoke as the skipper gainfully backs down on the line in a valiant attempt to stay connected to the speeding monster. The deckie barking orders to the angler, still in shock at the mere sight and power of that fish. The surge of adrenaline numbing all senses until the reality finally sinks home – I’ve got a hell of a fight on my hands here! The Cairns region has long been recognized as the Black Marlin capital of the world with the area stretching from Lizard Island in the north, to just south of this beautiful modern tropical city, the envy of many fisherman, and regularly rated the number one gamefishing region on the planet. 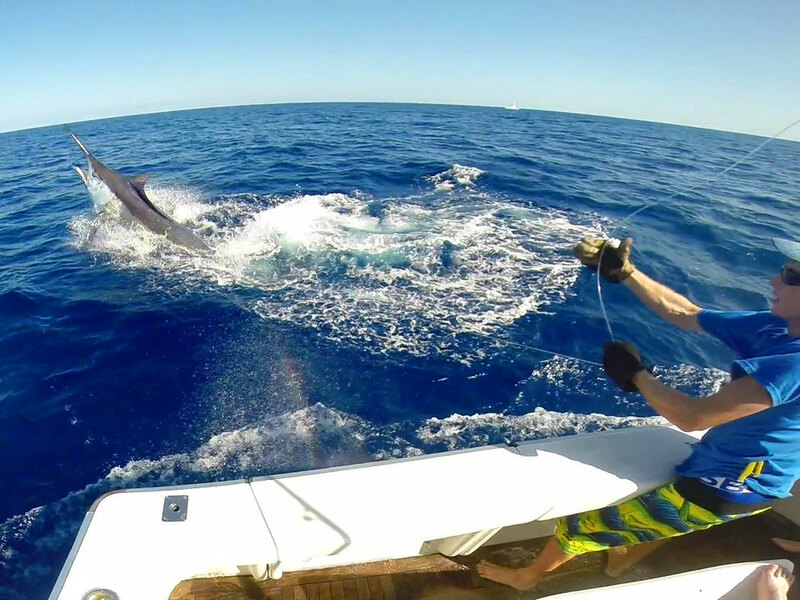 The preferred technique for catching the giant Black Marlin is to troll large whole fish baits such as Scad, Queenfish, Rainbow Runner, Tuna and Mackerel. These baits are rigged to either skip across the surface or swim within the surface layers. We have a lot to live up to here and this challenge has seen the development of the most modern, well equipped and experienced fishing fleet available. Magnificent custom built craft fitted with all forms of safety and communication gear, air-conditioned state rooms and offering the most comfortable lodgings available on the water. A once in a lifetime trip, or the never ending pursuit of the most revered gamefish of all, the elusive 1,000 pounder. Every year commencing in early September, the giant female Black Marlin arrive from the Pacific Ocean to spawn along this 250 km stretch of the Great Barrier Reef. The rich waters off the reef and near by continental shelf offering these breeders an abundant food supply. 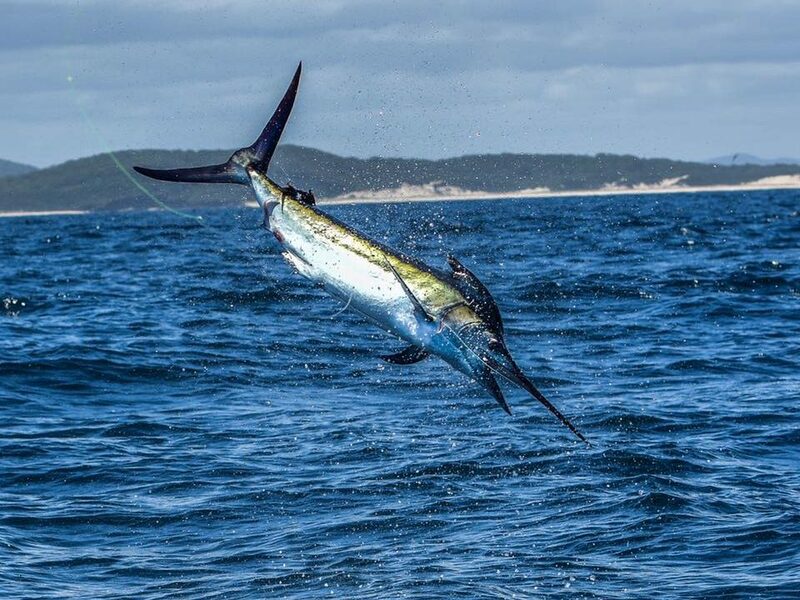 The Marlin season extends through to late December and an impressive array of gameboats and mothership options are to be found on the outer edge of The Reef and Coral Sea. Charter Options include share and sole charter, day trips or live aboard with 1st class accommodation, highest standard meals, scuba and snorkeling equipment, laundry facilities, seaplane transfers and modern communication facilities. Modern fast day boats leave Cairns harbour approximately 8:00am and return early evening. 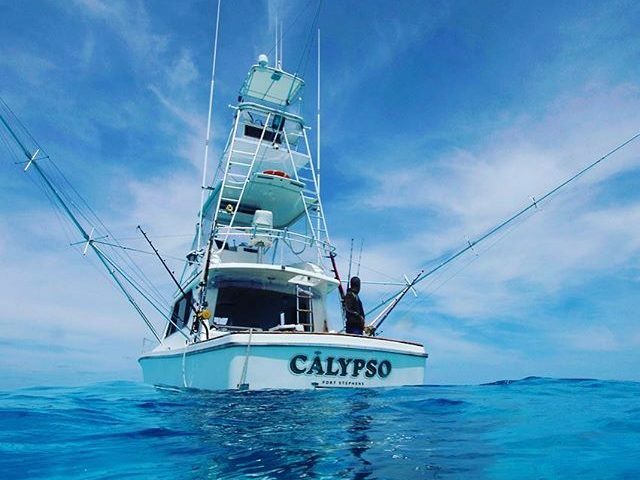 These 35′ to 55′ vessels are ideal for the land based visiting angler wishing to experience the many and varied tour options available in this tropical paradise. Quality line class outfits, hand made rods and the finest of professional reels are assured. 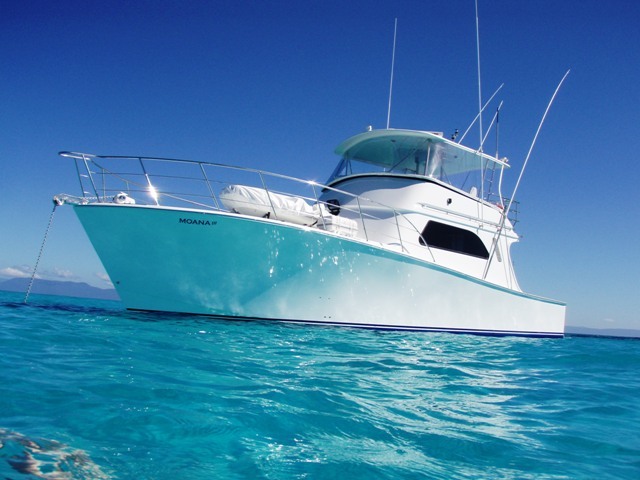 Various extended charters are available with 2-5 day options. Your all inclusive charter will become more than just a fishing trip with options including a swim / snorkel on the Great Barrier Reef. Night fishing, just for fun, and perhaps a visit to a tropical island. 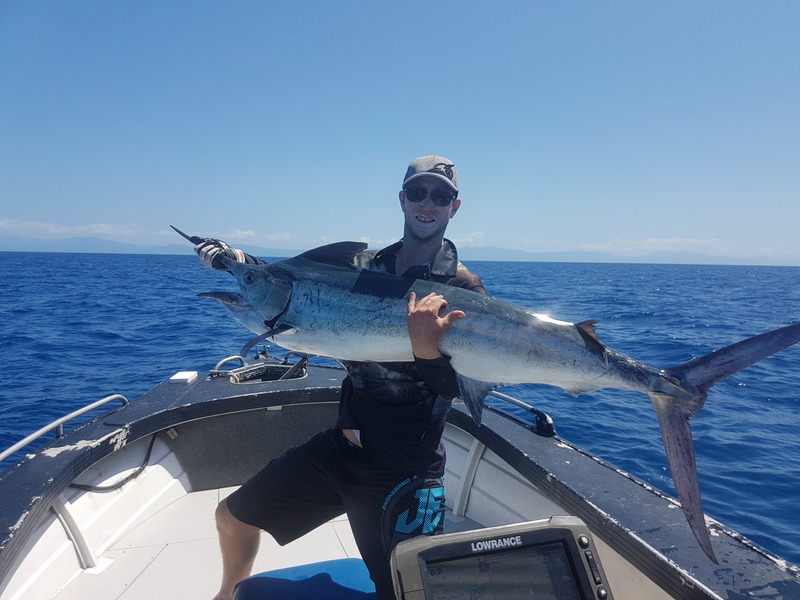 We have a range of charters and packages available to suit every style of fishing and every budget, Check Them Out Here.